The next part of the Jounrey down the West Cosst of the South Island. Although it has been a little while since the last part. But in reality I think everyone understands, that a break over the Holidays is needed. How did you spend you Hoilidays? I for my part had a very quiet time and enjoyed it very much since being on the other side of the world. I can’t believe all this happend last year! So to everyone a Happy New Year! 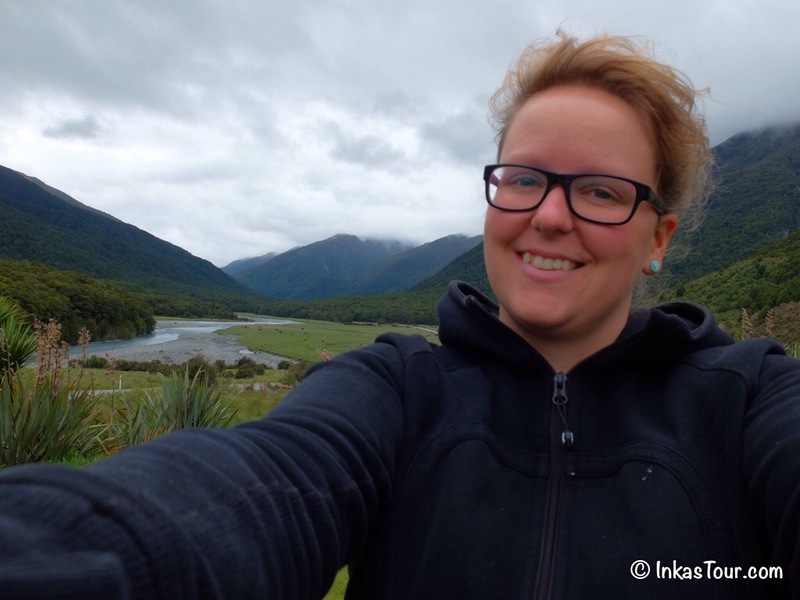 Glenhope -> over Murchison -> Reefton (we took the wrong street – along the A6 -> Punakaiki (Pancake Rocks) -> Greymouth The first Homestay Hotel we stayed at, was a whole new experience, as it was on a working farm. However there was no Rooster in the morning to wake us, we still had to use out Alarm Clock for that. A day that was greatly spend in the car driving, enjoying the changing Landscape along the way. Sometimes getting lost, means seeing something new. 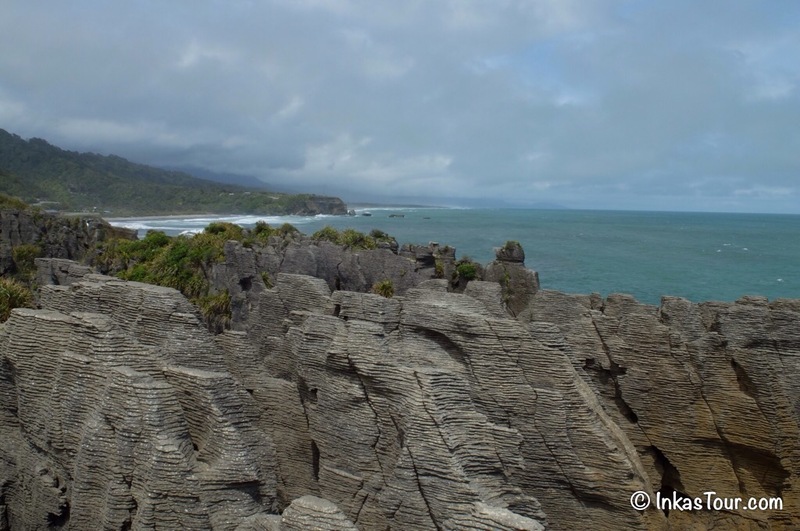 This is now we ended up in Reefton, the town where the first electrical Streetlamp on the Southern Hemisphere was placed, on our way to Punakaiki where the Pancake Rocks find their home. 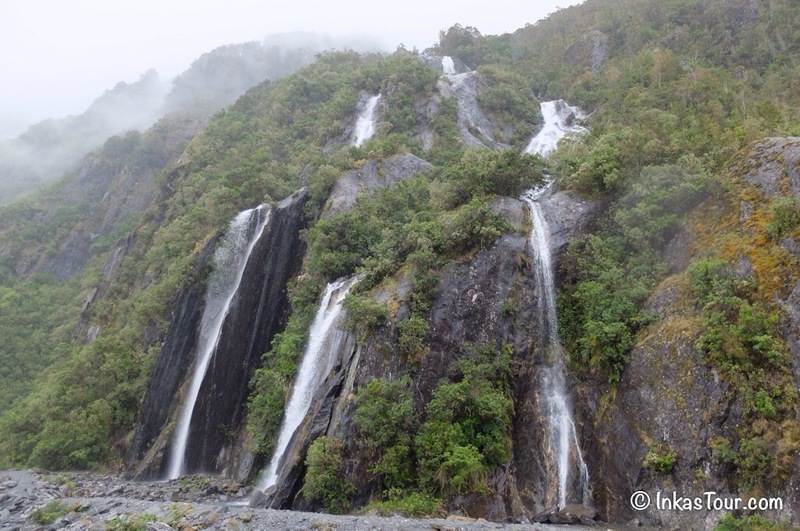 The overnight stop being Greymouth, the city that was the last place for the Golddiggers to get supplies. 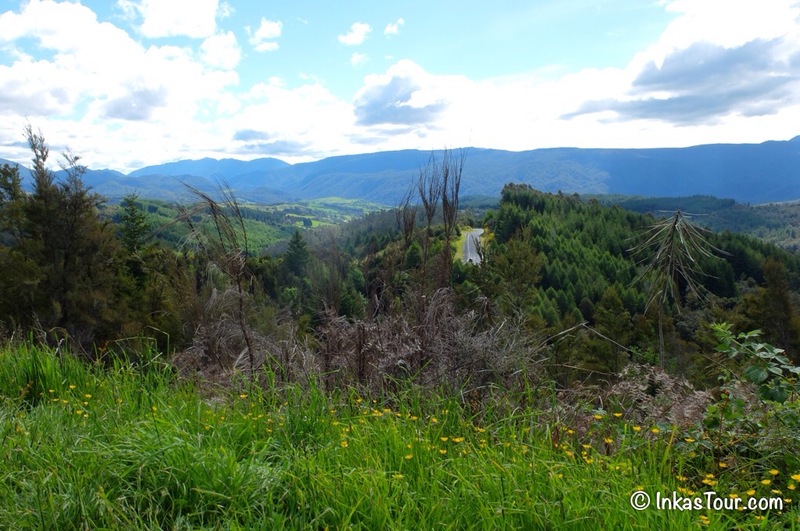 A Beautiful view with the Southern Alps in the Distance. 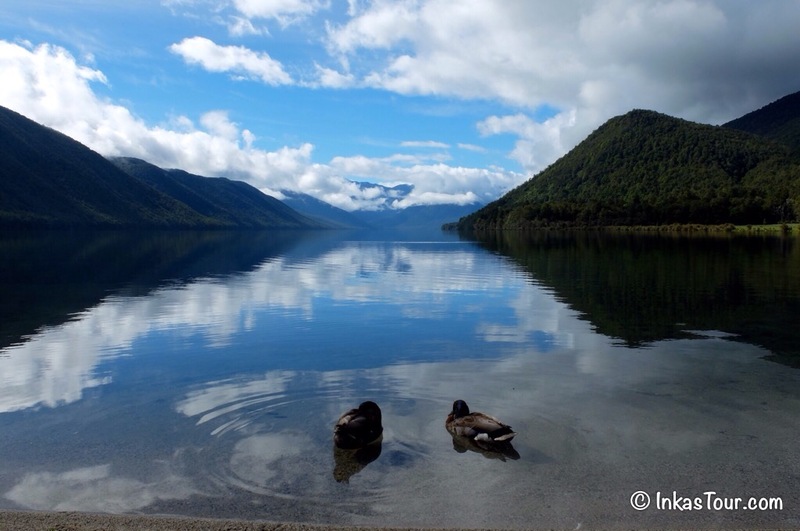 Lake Rotoroa, even the ducks find this place relaxing, the only factor I didn't like was the 100 sandflies around. So this was only a quick stop. 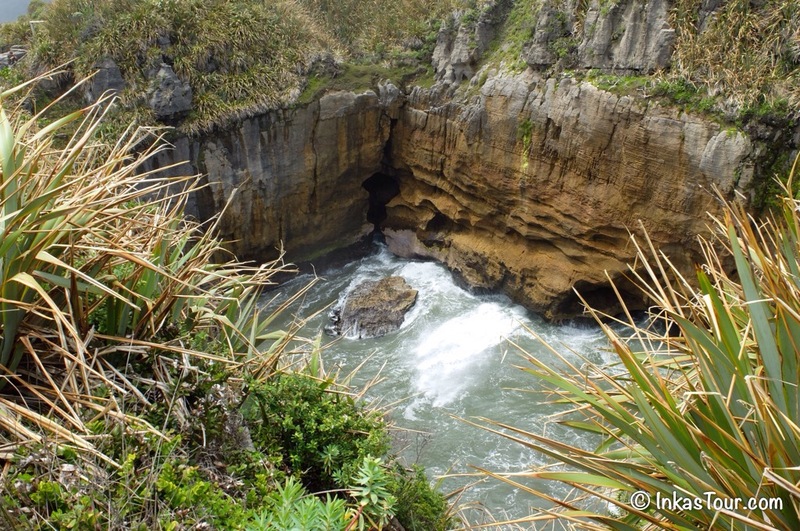 The Pancake Rocks one of Natures Secrets. 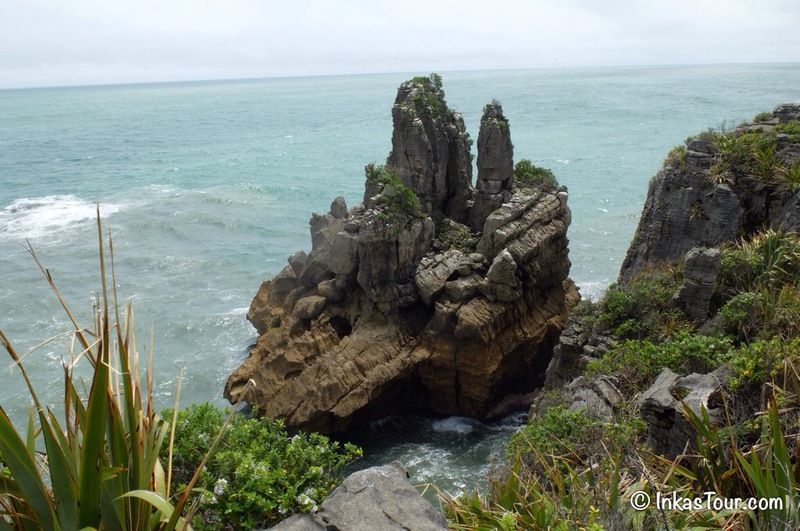 Created around 35 million years ago, from fragments of marine organisms and limestone. Uplifted from the Ocean Floors. Shaped and eaten away every day, by the wind, rain and sea. 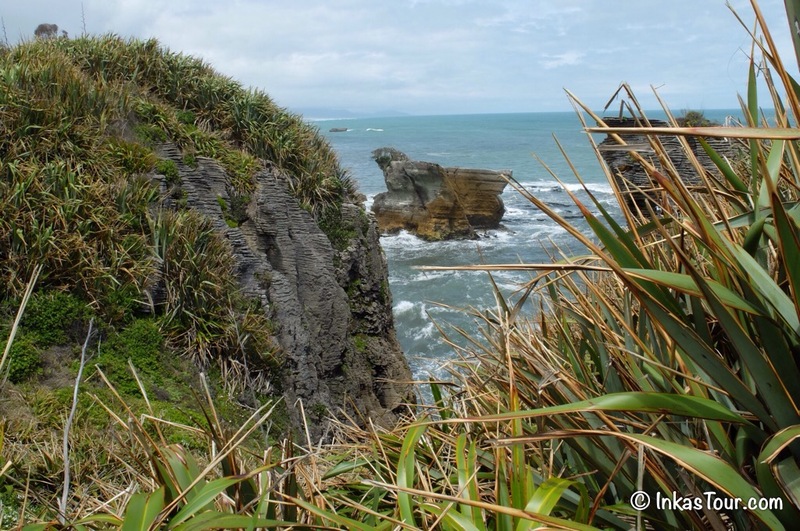 Eventually they will disappear again in the ocean, until they they are located about 2 km south of Punakaiki. 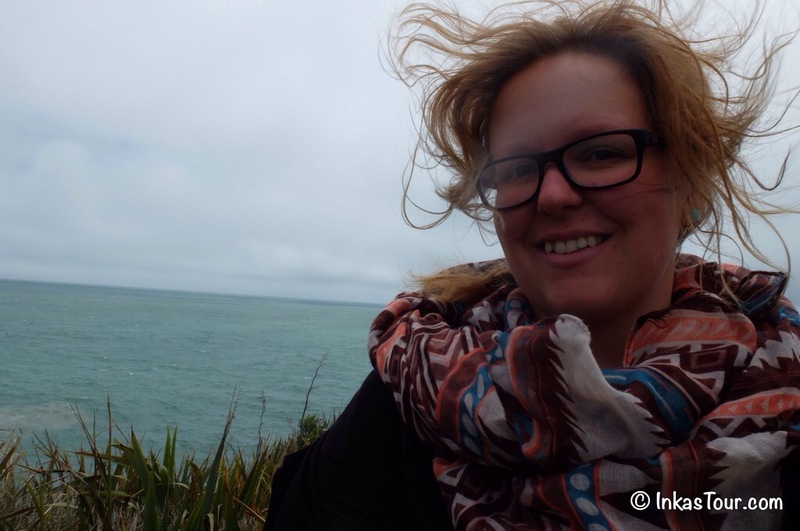 What the sea can do to you Hair, make it a really BAD Hair Day,an example of how windy it is at the Pancake Rocks. 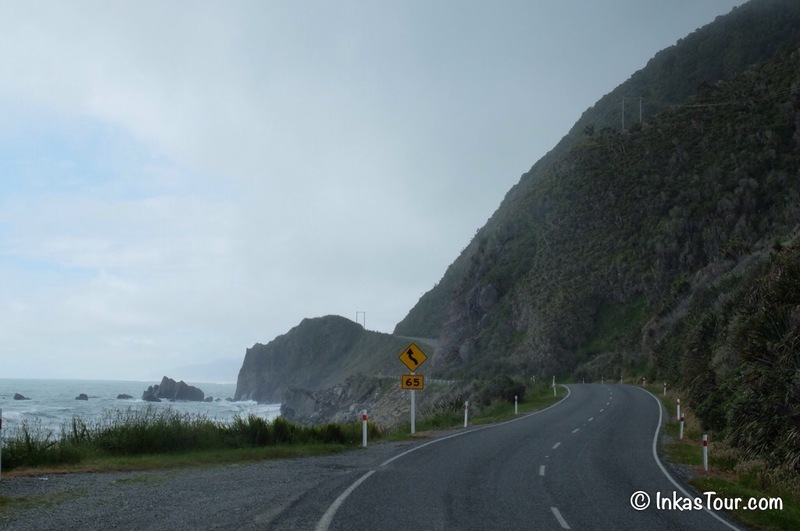 The West Coast Road, and yes this would be the Highway. Greymouth -> Franz Joseph -> Glacier Walk This day would have to be marked as the Rainest Day on the whole Jounrey, present and future. 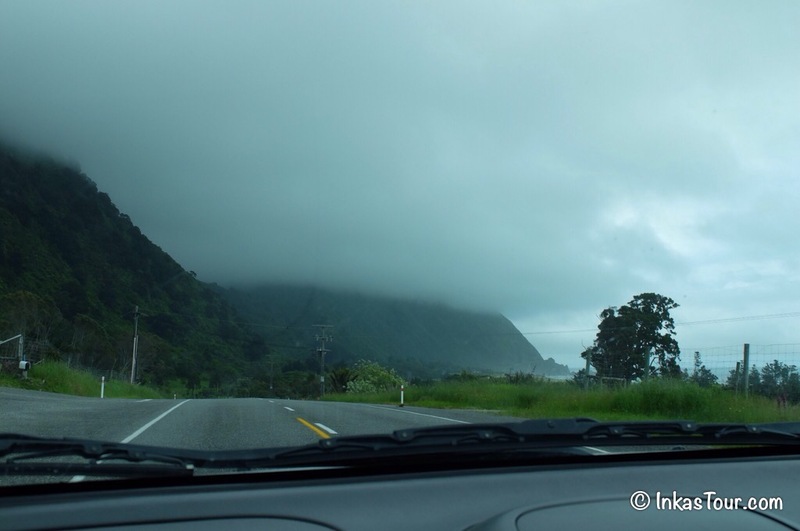 The Mauri name of New Zealand is Aotearoa which mean “long white cloud” and today that name was definitely honored. 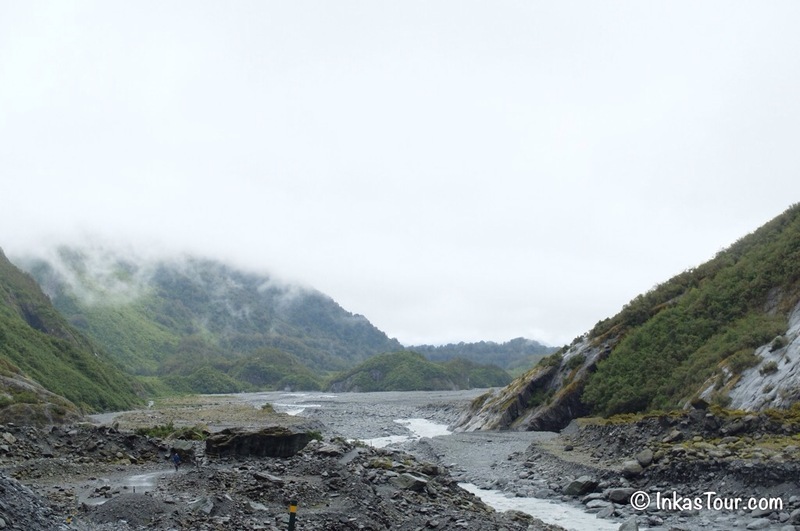 However we where told once we pass the Haast Pass the weather would change. 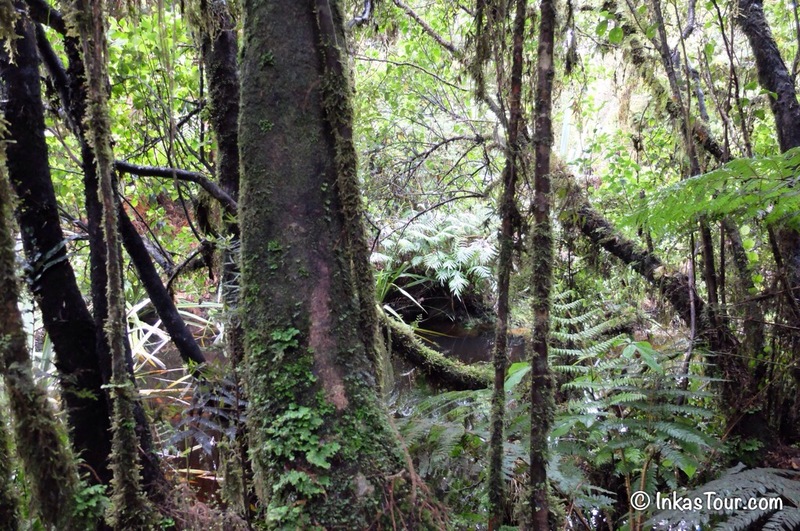 We wanted to get to Franz Jospeh as early as possible to give enough time to explore Franz Joseph. 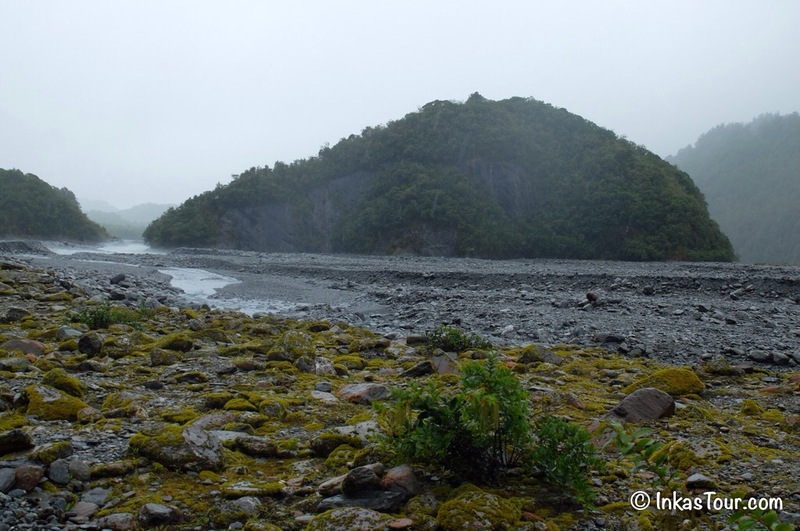 Yet we where surprised, because even though the rain was falling steadily through out the day, when we started the short 1 hour walk to the Franz Joseph Glacier it actually stopped a little. The White Cloud hanging low. 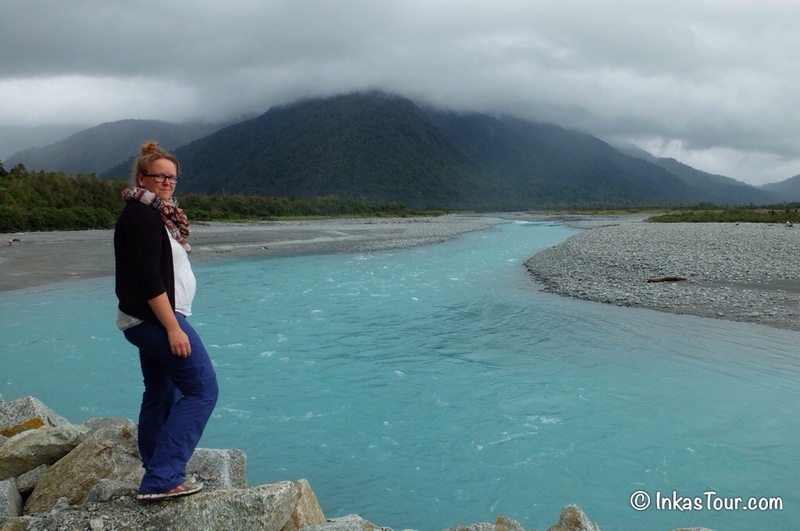 A complete unreal color of a River, I am thinking this is the Hokitika River but I may be mistaking. 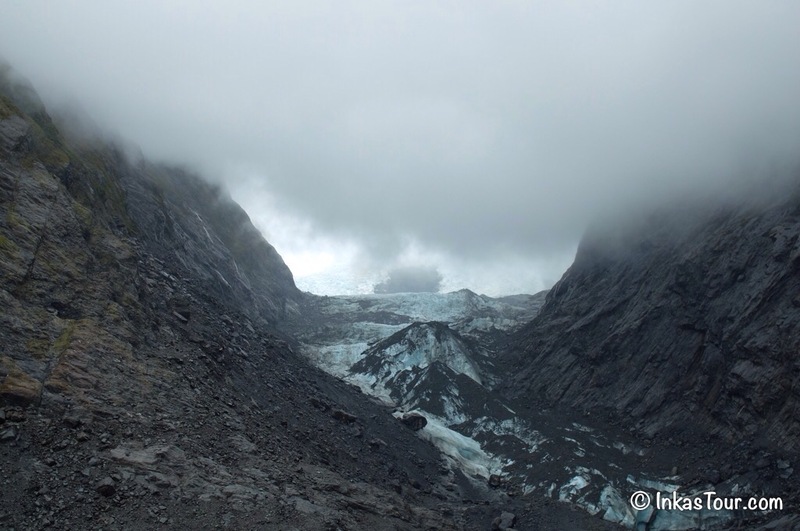 The Valley of the Franz Jospeh Glacier, a short walk of about an hour at drizzling Rain. One of many Waterfalls along the way. The Franz Jospeh Glacier as close as possible without paying loads of money to go on a tour. Although it's not possible to see it all, at least we get to see half. On the way back, the Valley from above, every corner truly is remarkable, anywhere in this country. Shortly after we got back to the car, it started raining and didn’t stop until early the next morning. We had some Hot Chocolate, and one of those let talk about anything and everything evenings, in a double room that had 6 beds. 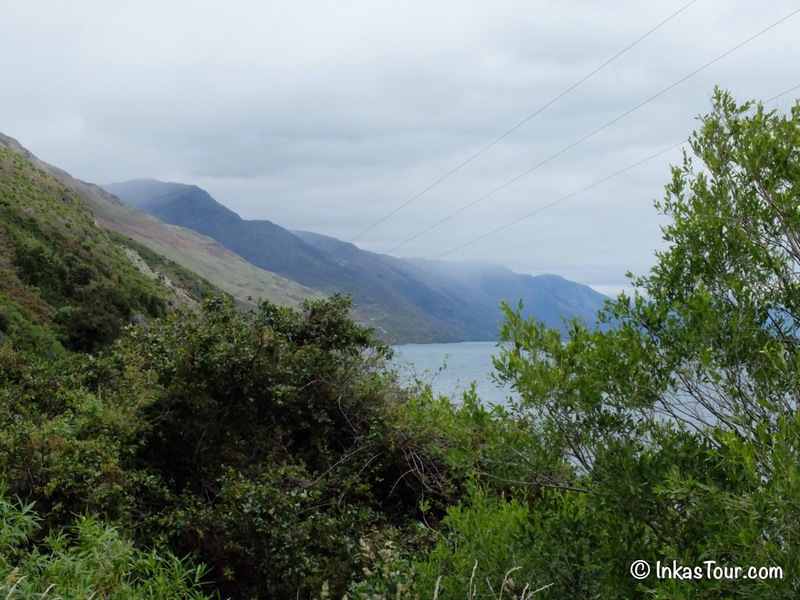 Franz Joseph -> Lake Matheson -> Lake Moeraki -> over the Haast Pass -> Wanaka Another day of changing Landscape. 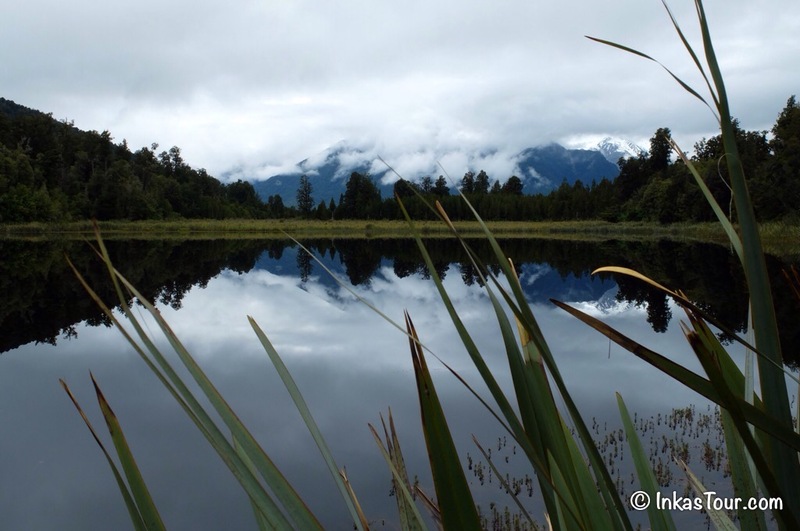 A glimpse of the Fox Glacier, a reflection of Mount Cook is the highest mountain of New Zealand at 3754m in Lake Matheson. 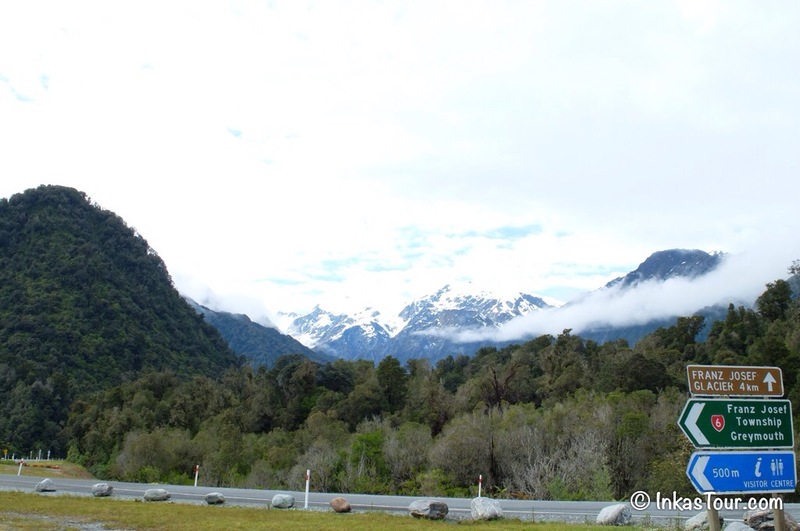 A Drive over the Haast Pass, where is suppose to be greener on the other side. At least for the weather. 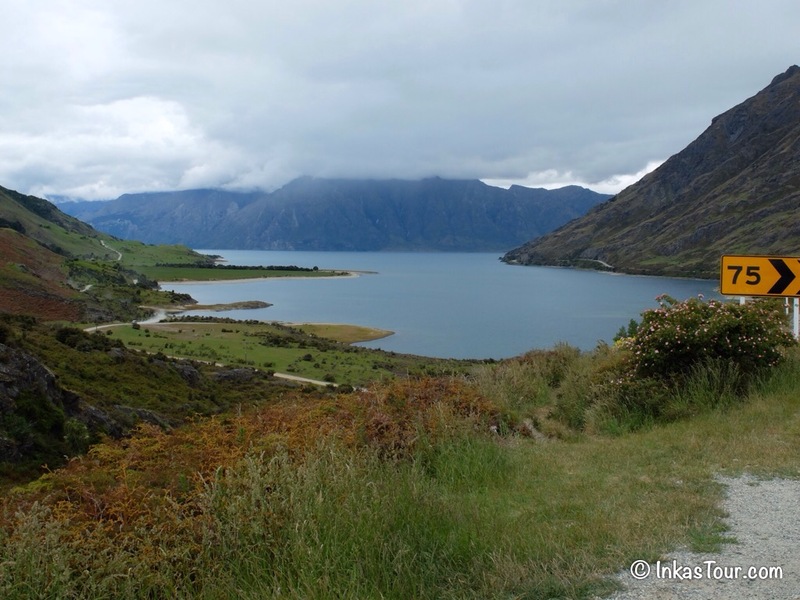 All the way down to Wanaka through a wonderful Mountain Landscape. 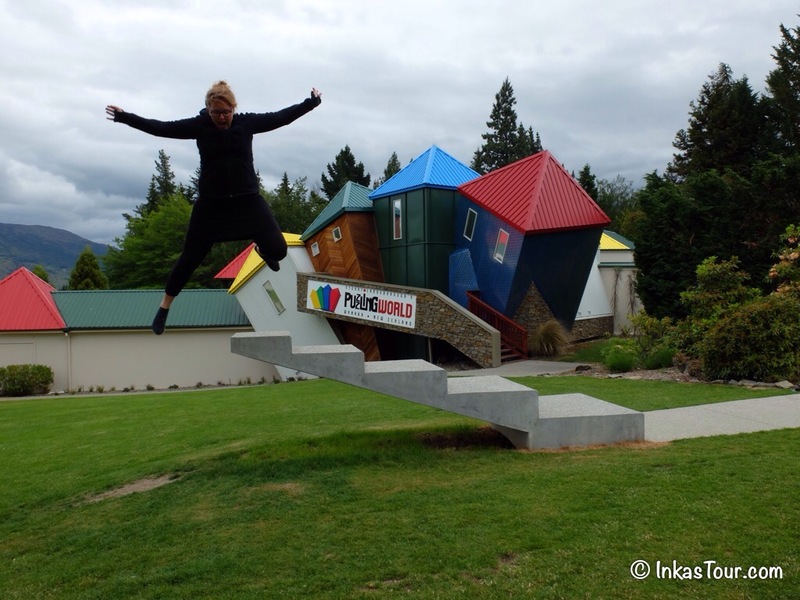 In Wanaka it was time to play in the Puzzle World, a maze that is just as much fun for Adults as for kids. And the Last stop the Beautiful Lake Wanaka with its surrounding town. After all the Rain had stopped, this is the view of what Franz Jospeh could look like on a Sunny Day, we decided to keep going and not do the walk again, some things are just not meant to be. 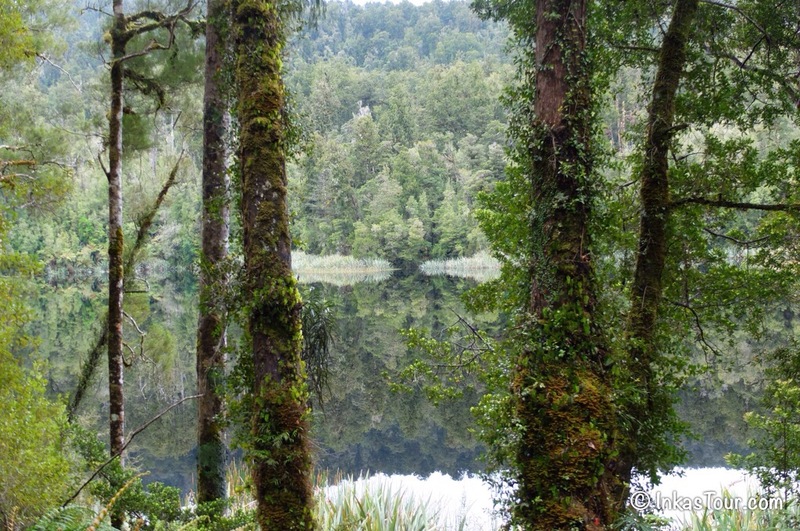 The first glimpse of Lake Matheson. The Mountain, that is reflecting would be Mount Cool, on a clear day it's suppose to be stunning beautiful. 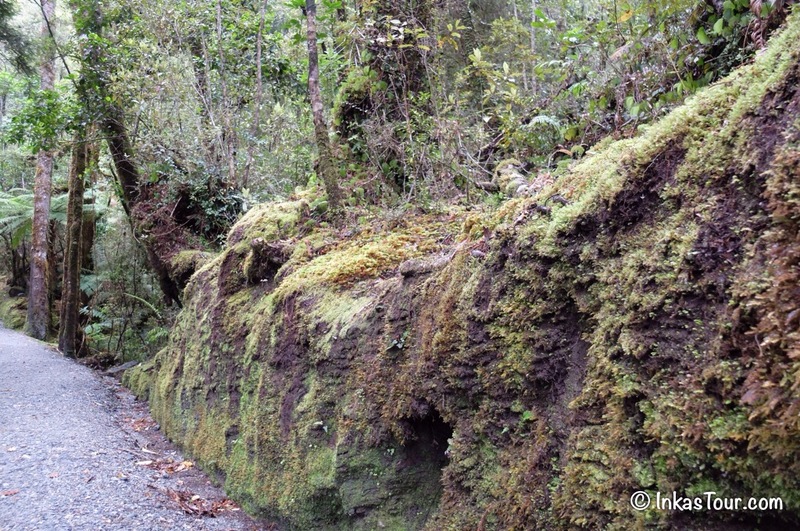 The short walk to the view point was filled with another set of unique forest Landscape, No forest seams to be the same. A new angle of the Forest. 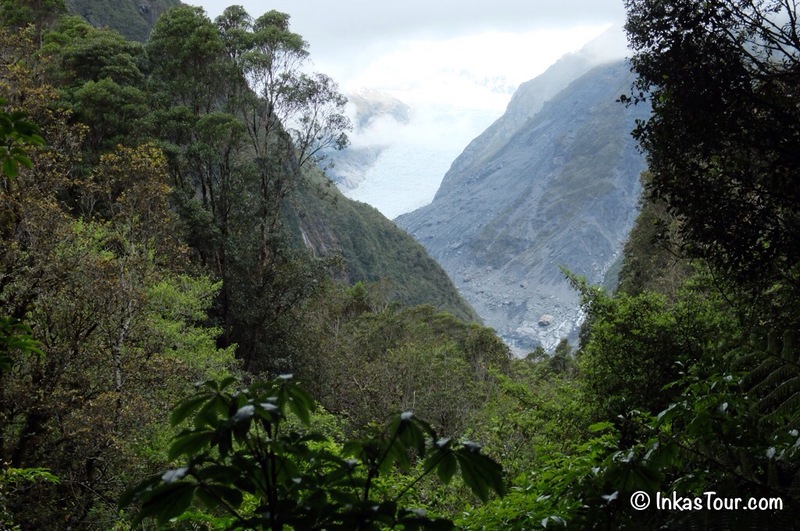 The mighty a fox Glacier. Once in a while the classical Selfie has to be done, now this is me and some beautiful landscape. I can't get enough of this Landscape, everywhere you look it will be different again. Lake Wanaka, in all its glory. The place where every adult will become a Kid again. The was a maze, I think I walked around 3km around, solving the hard version and finding the tours in a certain order. It was fun, I always do like excuses to be a kid.